Although the cannabis industry is known for being green in some ways, it’s not always green in the environmental sense. Research is being done and changes are being made every day to ensure that the marijuana industry isn’t draining our natural resources. Taking measures of sustainability is a vital part of being a responsible member of the global business community. Here are some things the cannabis industry can do to make sure it’s leaving a green footprint. 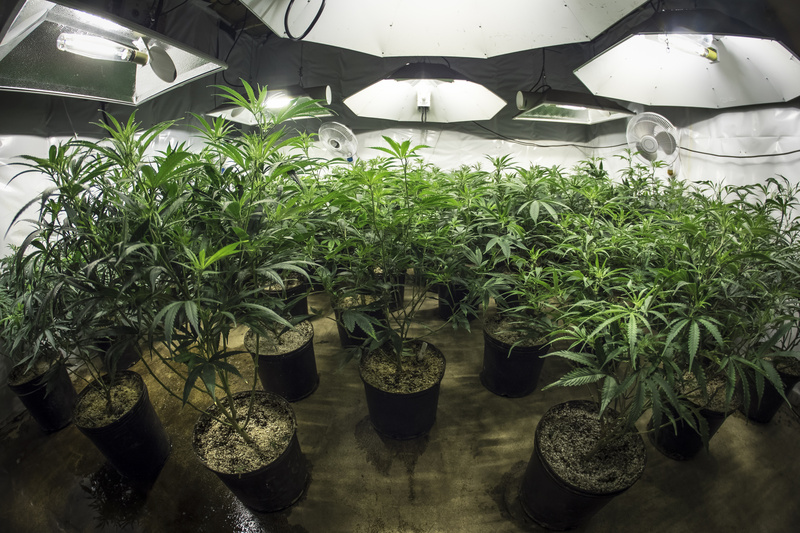 Growing marijuana requires a lot of energy and a whole lot of light. Swapping traditional bulbs with LED is a great step towards minimizing the impact of the industry’s footprint. LED lighting produces little to no heat. The bulbs also last much longer, reducing waste in the process. The greatest benefit to LED lighting is the lessened amount of energy that it uses. LED products use about 75 percent less energy than incandescent light bulbs. Though they cost more up front, switching to LED lighting will save money in the long run while reducing the carbon footprint. It’s well documented that pesticides are bad news for the environment. Harmful chemicals contaminate the soil, water, and anything they come into contact with. Many marijuana companies are taking strides to eliminate pesticides from the cannabis industry. Retail outlets like Healthworx are clear in their mission to grow organic, pesticide-free hemp for their CBD products. You can do your part by only purchasing products from companies whose products are guaranteed to be free of pesticides. As with any botanical or agricultural business, the cannabis industry is a known water hog. It’s a given that the plants will require a certain amount of water, and that’s unavoidable. The problem begins when automated watering systems result in massive amounts of water waste. This problem can be handled in a number of ways. Businesses should consider hand-watering as an alternative to sprinklers whenever possible. An audit of a company’s irrigation system will identify any possible sources of runoff and waste. Just like any major industrial force, the cannabis industry generates a lot of waste. Luckily, a lot of great work is being done to ensure a green footprint going forward. Packaging waste tends to be a major issue for many industries. Some cannabis companies have begun using eco-friendly packaging made from biodegradable materials. Composting is also a key step that cannabis companies can take to reduce their impact on the environment. Businesses can create a natural fertilizer out of waste and plant matter that would have otherwise been throw in the garbage. Finding ways to reuse old material is a vital aspect of bringing sustainability to an entire industry. Awareness is the first step to lessening your negative impact on the environment. Do your part by researching which companies are taking the right measures to leave a positive impact. Check out our blog for more tips on going green.